Darren Bernhardt, of TheStarPhoenix.com is honored for his story, “Child care necessary for support groups,” in which he reports on the loss of child care for a Saskatoon (CA) Postpartum Support Group. Darren’s writing dignifies and honors the journey these moms take as they struggle to overcome such a difficult times in their lives.Thank you Darren, for respecting these families and the program that supports them during this time. This entry was posted in compassion, education, family, Grace Award, integrity, journalism, knowledge, life, mom, motherhood, postpartum depression, sad, strong woman, survivor, tears, toddlers, woman, women and tagged canada, child care, compassion, darren bernhardt, Grace Award, integrity, knowledge, postpartum depression, saskatoon, support group on June 30, 2008 by LHale. This morning we had a pediatrician visit for both Cameron and Allison. Cameron’s appointment was his six month check-up and Alli’s was related to her continued rash behaviour. Alli is being referred to a child psychologist for further testing/evaluation and I am very relieved. Perhaps this will finally shed some light on the underlying cause of her behaviour and lack of discipline acceptance. Cameron, on the other hand, is suspected of Failure to Thrive. The pediatrician suggested I pump exclusively for a couple of days, giving him my breastmilk via bottle. I have a few reservations regarding that plan of action. First, exclusively bottlefeed and pump for TWO WHOLE DAYS? Pumping is not a good indicator of supply, bottlefeeding may confuse him, and frankly, after exclusively pumping for Charlotte for seven long months, I’m not so sure that I’m up for a second time around that block. I am also scared to start EP’ing as I fear I may end up doing that until he’s a year old, continuing to struggle to pump as well as get his weight gain in order. And what if I start and then try to go back to the breast and he refuses to go back? I can’t handle that all over again. And so it is with a heavy heart filled with experience, fact, and love, I have decided to switch over to formula. A gradual transition to be sure but a difficult decision nonetheless. I know I will miss our nursing relationship but his health and growth as well as my mental stability are vastly more important than any potential benefit of breastmilk at this point. I fully anticipate a mourning period and will be keeping an eye on my mood as the prolactin production decreases as we wean. Deep in my heart I know this is the right decision for our family in order for us all to be happy and healthy. This verse has become a constant reminder not to over-analyze every minute detail of what could have been done differently or where the train began to run off the tracks. To do this would be assigning ourselves to a dark pit of despair and that is not where we need to be now. We need to be front and center, in the light with the Lord so that we continue to shine and guide our children toward His glory. We will accept (once again) our new normal and adjust our lives accordingly so we may move forward full of prayer, wisdom, love, and strength. For at this time, there is nothing more we can do beyond this but wait on the Lord and trust in His infinite power and wisdom. This entry was posted in family, fathers, frazzled, husbands, infant, life, mom, mom's night out, motherhood, prayer, sad, strong woman, survivor, tears, toddlers, woman, women and tagged breastmilk, decision, exclusively pumping, failure to thrive, faith, formula, heavy heart, infant, mourning, move forward, pediatrician, philippians 3:13, psychologist, strength on June 30, 2008 by LHale. After having read that horrid story in the Orange County paper in which the journalist failed to do his homework and mistakenly gave the impression that “Baby Blues” and Postpartum Psychosis are the same thing, my mind has been working to come up with a way to recognize the journalists that DO their homework and indeed pay postpartum depression tragedies with the respect and compassion that they deserve. I finally came up with the term and graphic to go with it. The badge is simple but my hope is that it will be “worn” with honor by journalists who have shown their true integrity, compassion, and knowledge when they report on any story related to postpartum mood disorders. If you come across any journalists (or if you are one) who have reported on a PMD story and done so in the manner set forth above, please submit the story and journalist’s name for consideration to sharing.the.ppd.journey (at) gmail.com with GRACE AWARDS as the Subject line. 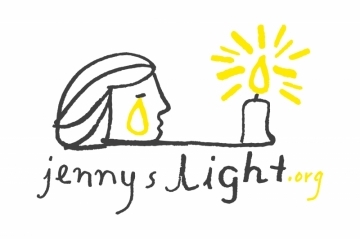 The first journalist I would like to honor is Anna Velasco for her story, “Shining A Light after Tragedy,” written regarding the Jenny’s Light Foundation I posted about yesterday. Ms. Velasco showed a tremendous amount of integrity, compassion, and knowledge in her writing of the story as well as highlighted her talent for focusing on the positive in light of such a tragedy. Thank You, Ms. Velasco. Wear your badge with honor! 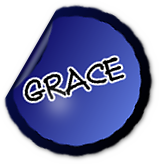 This entry was posted in compassion, education, Grace Award, happiness, integrity, journalism, knowledge and tagged Anna Velasco, badge, compassion, dedication, Grace Awards, honor, integrity, Jenny's Light, journalist, knowledge, writing on June 29, 2008 by LHale. What’s the tackiest thing anyone has said to you about PPD??? Makes you want to scream, doesn’t it? So come on – share your quotes with us! This entry was posted in family, life, mom, pain, public awareness, survivor, woman, women and tagged blunt, confused, impolite, insensitive, misunderstanding, PPD, quote, rude, saying, tacky, unprofessional on June 29, 2008 by LHale. At just seven weeks postpartum this past December, Jennifer Bankston took her life and her son’s life as a result of a severe postpartum mood disorder. Her family has started a wonderful organization in memory of her dedicated to spreading awareness, educate, and help support women and families suffering with postpartum illness. They have already achieved so much and netted over $50,000 at their first fundraiser. Please support this amazing family as they join us to help prevent other families from the pain they have so unfortunately experienced. This entry was posted in advocate, education, family, fathers, husbands, infant, life, mom, motherhood, pain, postpartum depression, prayer, public awareness, sad, tears, woman, women and tagged advocate, Birmingham AL, Jennifer Bankston, Jenny's Light, postpartum illness, suicide, support on June 28, 2008 by LHale. I heard Cameron rustling about at 5 this morning so I rolled out of bed looking forward to some quiet nursing time with him. Turns out the girls were awake too. I just got them down for nap and have had them to entertain since rising this morning. We did quite a bit, actually. We made Banana Nut muffins for breakfast (from a box) then they played with play-doh while I made pretzels (from scratch). We watched some TV and did some silly stuff too but hey – that’s what Saturday mornings are for, right? My parents are in transit from VA as I type so they will be here for Cameron’s dedication tomorrow. I’ve got homemade pizza dough doing a final rise in the oven as I am hoping to make a delicious deep dish pizza. Being a good Jersey girl at heart, I’m not too sure of the proper process so I had to do some research. Hopefully it’ll come out properly. I’m about to take a nap as I certainly have earned it! If we get good pictures tomorrow, I will share them with you! This entry was posted in family, infant, life, mom, motherhood, prayer, woman, women and tagged busy, church, dedication, early morning, hectic, life, muffins, parents, pizza, play-doh, pretzels, toddlers on June 28, 2008 by LHale. Ms. Kleiman presents a theoretical framework in which the therapist “mothers the mother” by acting as the “good” mother, who “must achieve that equilibrium between absolute support and appropriate boundaries.” Using compelling patient narratives, she demonstrates just how to achieve that balance in order to teach the patient how to develop confidence in her own skills as a mother. There is a treasure trove of “clinical pearls” in this eminently readable book, which even the most experienced clinician will be able to use right away. For those new to the field, and for patients and their loved ones, the book offers a wealth of information on the nature of postpartum depression as a medical illness and the psychosocial issues that arise when a woman is faced with caring for a baby. Ms. Kleiman describes how the medical community tends to minimize the complexity of these issues and use a “one size fits all” approach to treating depression. Readers will learn to be more effective advocates for proper treatment of perinatal depression. Therapists will also learn how to draw from their own experiences to facilitate the human connection between therapist and patient at a time when women feel isolated by shame and insecurity. Together, the therapist and the patient can work towards discovering the innate resilience that has allowed women to raise children even in the most extreme circumstances. Ms. Kleiman has developed a humanistic approach to psychotherapy for postpartum mood disorders that gives recognition to psychodynamic theory, but then uses many cognitive–behavioral techniques to reach well-defined goals. Therapy and the Postpartum Woman is an elegantly written book that not only offers practical advice but also does so in a way that will touch the lives of both patients and therapists. It is destined to become a classic for those experiencing or treating perinatal mood disorders. This entry was posted in advocate, Edinburgh Postnatal Depression Scale, education, family, happy, joy, life, mom, motherhood, postpartum depression, pregnancy, strong woman, survivor, woman, women and tagged clinician, consumer, Karen Kleiman, MD, pre-order, September, Shari Lusskin, therapist, Therapy and the Postpartum Woman, therapy guide on June 27, 2008 by LHale. Tension is who you think you should be. Relaxation is who you are. This entry was posted in postpartum depression on June 27, 2008 by LHale. I first saw Michael Lurie on a Fox Morning program and immediately thought how wonderful it was for him to be sharing his story as it is very rare indeed to get a glimpse into the postpartum experience from a father’s perspective. 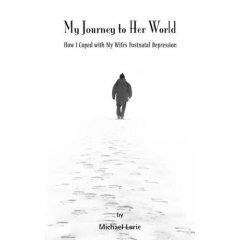 In his book, My Journey to Her World: How I Coped with My Wife’s Postnatal Depression, Michael is transparently open and honest with the events as they unfolded. Familiar with his wife’s previous depressive episodes, her postnatal experience and his subsequent depression went well beyond anything either of them could have ever fathomed. I am honored to share his words with you here and sincerely hope that you will share them with the men in your lives. Michael has been extremely gracious and kind (we’ve had technical difficulties in pulling this together – our emails weren’t the greatest of playmates!) in completing this and I thank him for his patience. I also thank him for his bravery in forging such a valuable addition to resources available for fathers with partners suffering from postpartum depression. How hard was it for you to witness your wife’s struggle with Postpartum Depression? What were some of the emotions you went through? At what point did you decide to write your book, My Journey to Her World? Following several months of watching Kate deteriorate, I started brainstorming my thoughts on a piece of paper t try and get some cathartic release. A I wrote down my thoughts, I realized that this was a story that needed to be told to others in order to help others and avoid the frustration I felt at not having a resource spec ifically aimed for men. Has becoming a Father changed you? It has given me a sense of unconditional responsibility and love to my children which will last the rest of my life. What aspect of being a Father is the most challenging? The Least? Most challenging- the constant feeling of responsibility for another human being who is totally dependent on you. Least challenging- the ability to unconditionally love your child. How difficult was it to accept your own experience with depression during this time? Do you feel it brought you closer to your wife and allowed you to better understand her? It was very difficult to accept my position and I need it confirmed by a third party (doctor) before acknowledging it. It did bring me closer to my wife as I got a small ‘taste’ of what a sufferer of depression goes through. What are some things you did to actively support your wife during her episode of Postpartum Depression? I ensured that she was functional even at her worst point and asked her to do even the smallest of chores- e.g. help m e fold the laundry. I acknowledged her feelings and let her release emotions without questioning whether they were rational or not. Just as women with PPD learn that taking care of themselves is important, this is a lesson that Fathers should heed as well. What do you do on a regular basis to feed your soul and ensure that you stay in a good place? Nurture and develop your hobbies and interests. Remember that you are first and foremost an individual who needs to look after them self in order to look after others. Did PPD strengthen or weaken your marriage? Do you feel that you both are in a better place now than prior to PPD? It strengthened it as it made us more committed to one another. I would not say we are in a better place now as we were in a good place beforehand. I would say we are in a different place now as we have the realization and experience of PPD and its devastating effects. What do you find to be the best part of being a Father? If there was one piece of advice you could give to an expectant father (new or experienced), what would it be and why would this be important for him to hear? Talk to people and if there is a problem – seek help. Don’t suffer alone. 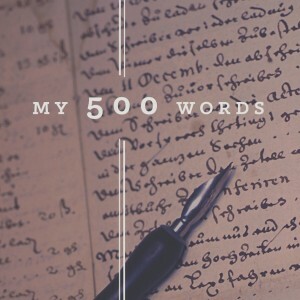 This entry was posted in education, family, fathers, husbands, labor, laughter, life, motherhood, pain, Paternal Postnatal Depression, postpartum depression, survivor, woman, women and tagged author, book, coping, dad, fathers, insight, male perspective, Michael Lurie, My Journey to Her World, postnatal depression on June 26, 2008 by LHale. Hey Dads – PPND Online Forum Just for you! If you’re suffering from Paternal Postnatal Depression and are feeling all alone then I have some AMAZING news for you. Dr. Will Courtenay has a forum at his website, www.postpartummen.com where you can post your concerns and get advice from other dads who have been where you are or still struggling. 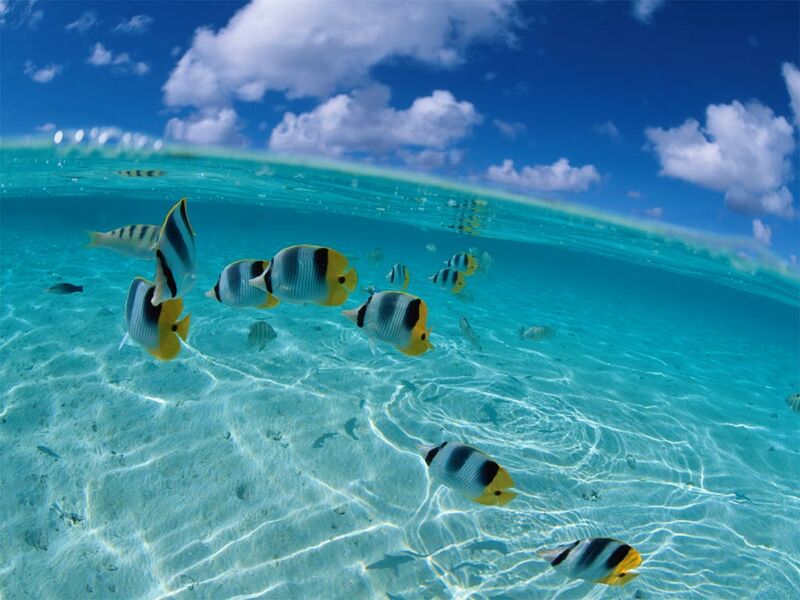 A great solace lies in finding others on the same journey. Click here to go directly to the forum. This entry was posted in family, fathers, frazzled, husbands, life, pain, Paternal Postnatal Depression, public awareness, recovery time and tagged anxiety, conference call, dad, depressed, emotion, father, forum, free, help, open, Paternal Postnatal Depression, peer support, Postpartum Men, PPND, share, Will Courtenay on June 22, 2008 by LHale.